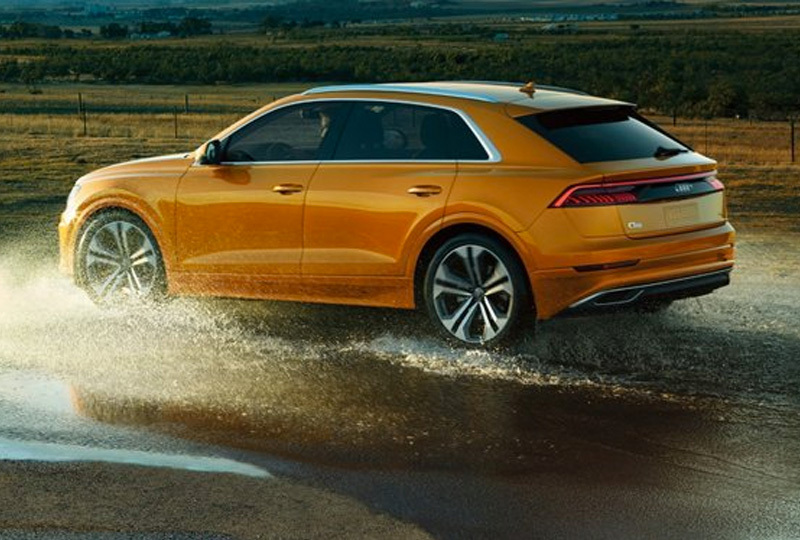 The 2019 Audi Q8 from Audi Orange Park in Jacksonville, FL, serving Orange Park, San Jose, Mandarin and Jacksonville, offers incredible comfort and remarkable performance. Get used to the extra attention awarded by the stunning exterior design that has an octagonal Singleframe® grille and bright LED taillights. Command the road with confidence using the 3.0L six-cylinder engine that churns out 355 horsepower and 369 lb.-ft. of torque. Standard Quattro® all-wheel drive keeps you steady on your course, even when driving conditions are less than ideal. Indulgent leather surfaces welcome you into the cabin where a three-zone automatic climate system maintains the perfect temperature. Every convenience you could imagine exists inside, including an auto-dimming interior rearview mirror and 40/20/40 split-folding rear seat. 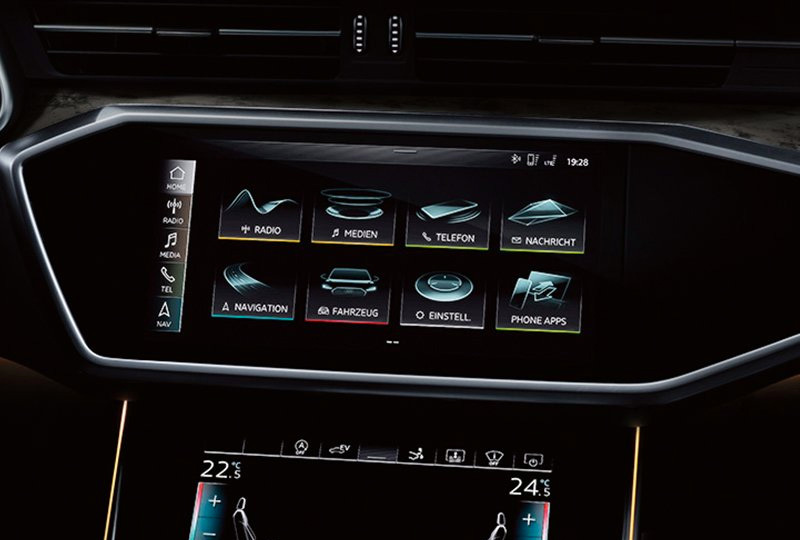 Keep up with important driving information using the Audi Virtual Cockpit, which displays multiple settings on a 12.3-inch LCD digital instrument cluster. A capable MMI® Touch Response provides easy controls for navigation and audio, as well as two large touchscreen displays with haptic feedback. Now is the best time to buy a new Audi! We have an amazing selection of 2019 models at incredible savings, and new auto loan rates have never been lower. Take a test drive today to experience Audi's Truth in Engineering. Stop by our showroom at 7230 Blanding Blvd., Jacksonville, FL 32244. 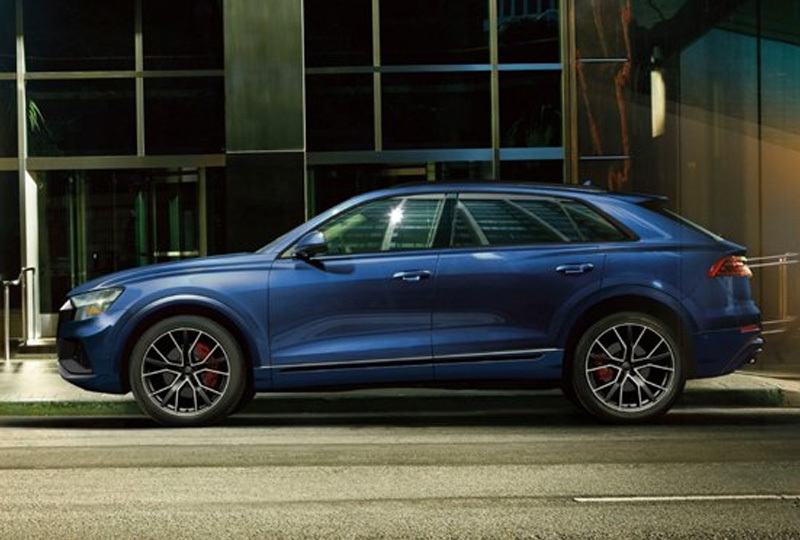 We can't wait to see you in the 2019 Audi Q8 of your dreams! The forefront of design is in the profile. Prominent fenders and an athletic shoulder line combine with a gently sloping roofline that presents spacious accommodations to front and rear passengers. The 3.0 liter TFSI V6 engine was engineered for response. A twin-scroll turbocharger and Audi valve lift system inspires the commute with a broad power band and leisure time with a 7,700-lb towing capacity. Organize and arrange content and functions the way you want it, intuitively. Once selected, experience personalized menus with the pulse of haptic and audible feedback. 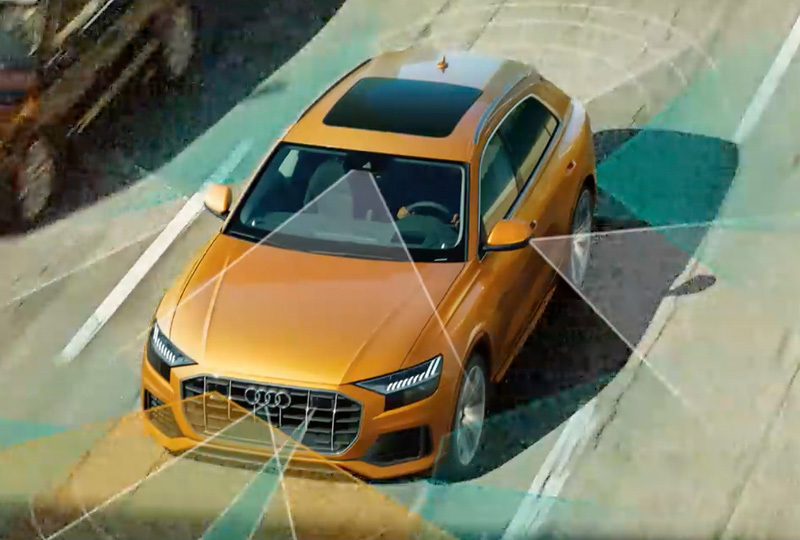 By monitoring the surroundings of the Audi Q8 with up to 24 available sensors, your Audi vehicle can help form a broad picture of awareness and help drivers respond to the avoidable.